Yes, you guessed right, my Bulleit Bourbon has taken residence at the front of my condiment shelf. 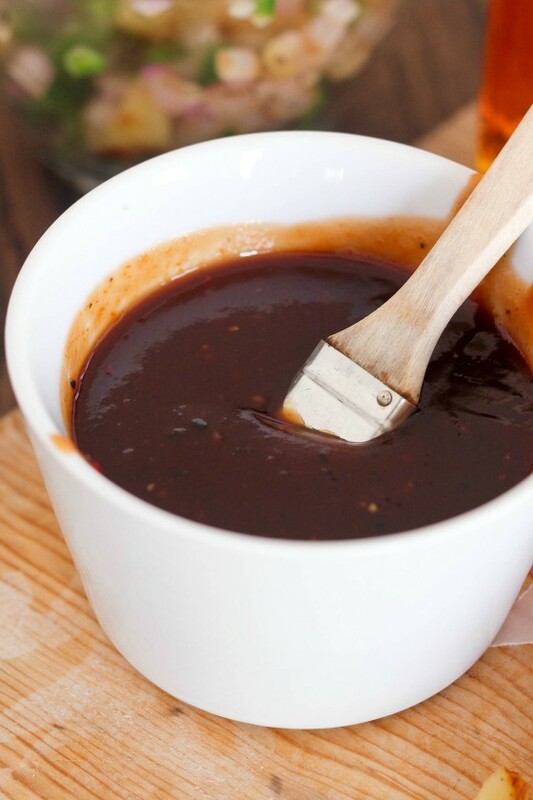 I know Bourbon doesn’t really count as a condiment but I think it will pass, in a round-about way for this one – Bourbon BBQ Sauce! So I know I’ve shared before that my dad own’s a BBQ restaurant. For that reason and because I spent a lot of my life in Kansas City, I consider myself a little bit of a snob when it comes to BBQ. I rarely make it at home because I don’t have a smoker and I have never perfected a good enough sauce. I know which restaurants I like and which are far from par. So hear me when I post a BBQ burger on my site – this one is legit. And it all starts with the sauce. It’s sweet and spicy, and just slightly tangy and it’s good for much more than just a burger. (Paul ate it on leftover mac & cheese!) I’ll make a Bourbon-believer out of you with this one, I promise. This burger actually started out as a Hawaiian Pork BBQ Burger. I laugh at myself when I think about my train of thought in brainstorming recipes. I was thinking jalapenos, pineapple, pork, and BBQ sauce. But I couldn’t really figure out how to bring it all together. So then I decided on this salsa with grilled red onions, grilled jalapenos and (are you ready for this?) grilled pineapple. I had no trouble eating it directly from the bowl, no burger even needed. And then, out of nowhere, the Bourbon magically appeared and it became apparent that Bourbon BBQ sauce was the crowning jewel to this burger/salsa combo. And it for sure was. I’ll admit – there is some prep work for these burgers. They aren’t the quickest of meals to put together but they will not disappoint, I promise! 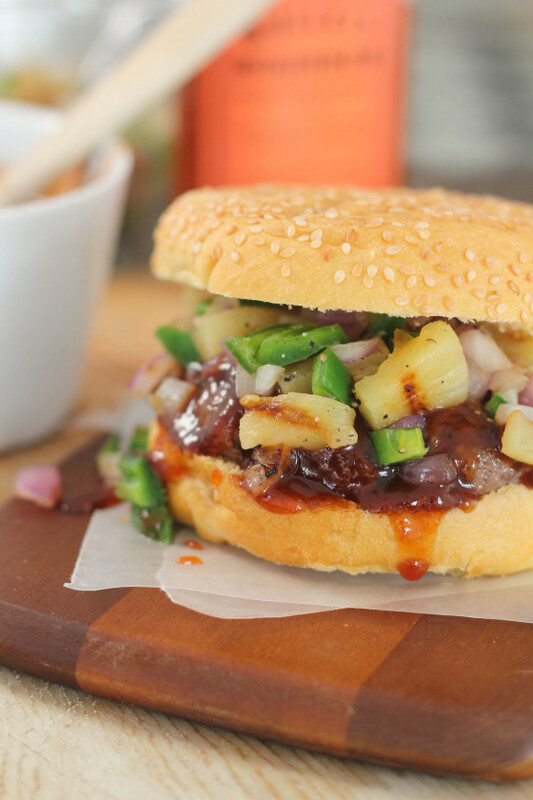 Super fun and spicy BBQ burgers with homemade Bourbon BBQ sauce and a grilled pineapple, red onion and jalapeno salsa. Combine all sauce ingredients in a saucepan over medium heat and stir to combine. Bring to a simmer and cook for 20-25 minutes until slightly thickened. Remove from heat and let sit for about 5 minutes to thicken more. The sauce can be stored in the refrigerator in a sealed container for up to two weeks. While the sauce simmers, heat a grill pan and brush with a light coating of grapeseed oil. Add the pineapple slices and cook for 2-3 minutes, flip and cook for another 2-3 minutes on the opposite side. Set aside. Brush the onions and jalapenos with a light coating of oil. Cook using the same process as the pineapple. Roughly dice the pineapple, red onion and jalapenos and combine in a small bowl, add the salt and pepper, and set aside. Combine the ground beef, garlic powder, onion powder, 2 tablespoons of the Bourbon BBQ sauce, salt and pepper in a bowl and mix together until well-combined. Divide the mixture evenly and form into four burger patties. Heat 1-2 tablespoons of grapeseed oil in a large skillet. Cook the patties for 4-5 minutes on each side, or until the beef reaches your desired doneness. Serve the cooked burgers on toasted hamburger buns with the salsa and additional Bourbon BBQ sauce. Those burgers look so delicious, perfect for the summer! My best burger has been a burger with roasted hatch green chiles, white cheddar, and a homemade hatch chile aioli. Yum! That sounds like the best BBQ sauce ever and that burger looks SO deliciously messy! I approve the motion to make bourbon a staple condiment. Amazing burger!! I didn’t know your dad owns a BBQ joint! Nice! So, yeah, I’m thinking this burger really is LEGIT! 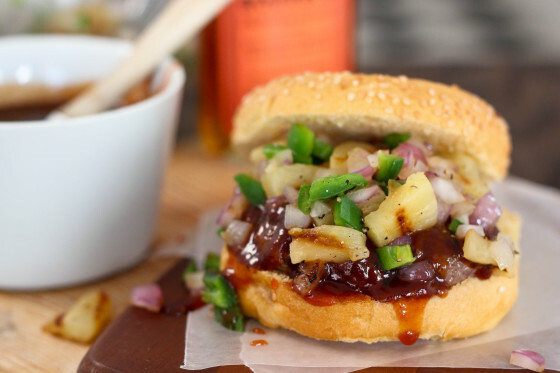 I love the flavors in your BBQ sauce and the grilled pineapple is perfection! 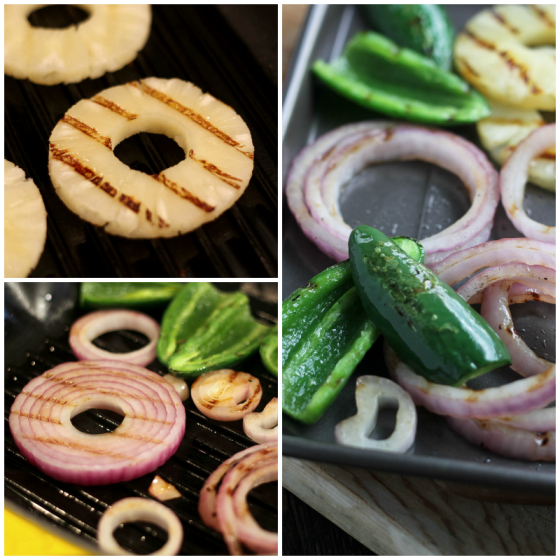 I’ve been on a jalapeño kick – love that you grilled them whole. Umm..also I didn’t know that about your dad!!!! I want to visit! Bourbon bbq is my favorite!! Friday night cookout decision made! These are happening at my house, for sure. Wow, these burgers look so mouth watering!! It’s lunch time and I want these!! Sounds delicious. Can’t wait to try. Definitely making that sauce now that I have bourbon in the house! Looks like an amazing burger! My epic burger creation is grilled burger with grilled chopped oils,green and black olives with yellow and red peppers. I use a little bit of Swiss cheese and Dijon mustard. Delicious!!! Mouthwatering recipe.I can’t wait gonna to try this. I usually very picky with BBQ Sauce, but I could get behind this one!. 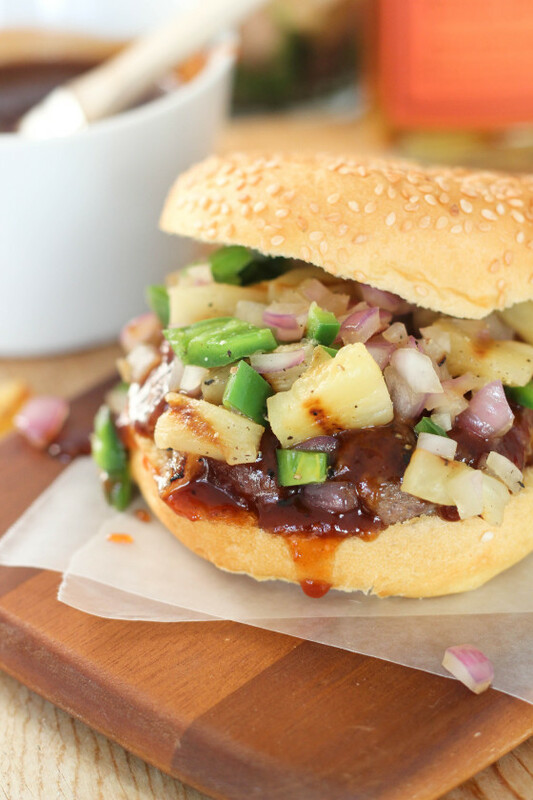 I love grilled pineapple, so I’m down with this burger!